In a season where color sets the trend you expect a Missoni-collection to be a multicolored festival. In a certain way it was, regarding the hippie-like dresses with zig-zag, geometric patterns and colorful inserts. But on the other hand it looked a bit overdone too: and color, and the Missoni-signature patterns, and an African theme plus a Japanese/ Mexican vibe on top of that. The result was a more or less psychedelic collage of dresses. 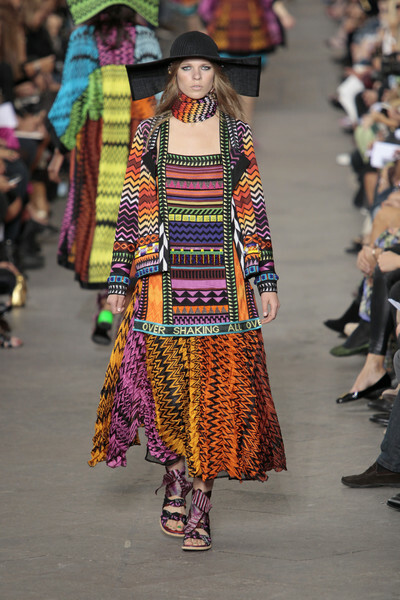 Angela Missoni played with layering, pleating, fringing and embellishments like beads and sequins. She presented smocks, tunics, caftans and kimonos and mixed it all together. 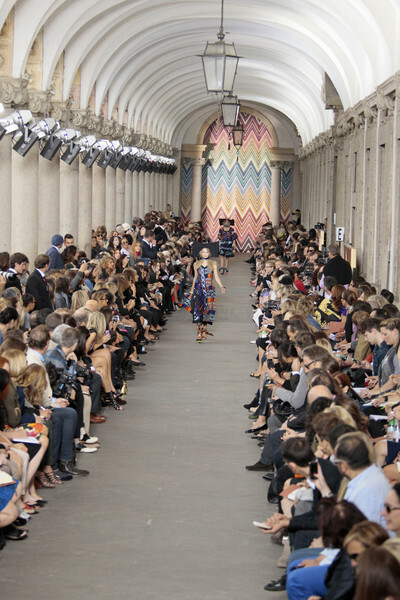 But the mood was energetic, hopefully Missoni is capable to transfer that to the customer and into the stores.